Thank God its Friday Whop!!!! and lets have fun doing a Dashiki shoot. see, you can wear it with a blazer, jeans, skirt, wrapper and there’s even a Gown Dashiki. I love urs especially and the full length black one. My turn to talk, my fav is the cropped one, followed by the full length, then yours (still love you even in third place), the blazer is next. Btw, did you see mine with the wellington boots. Your shoes are giving me life! My favorites include yours and the guy with the blazer and shorts. 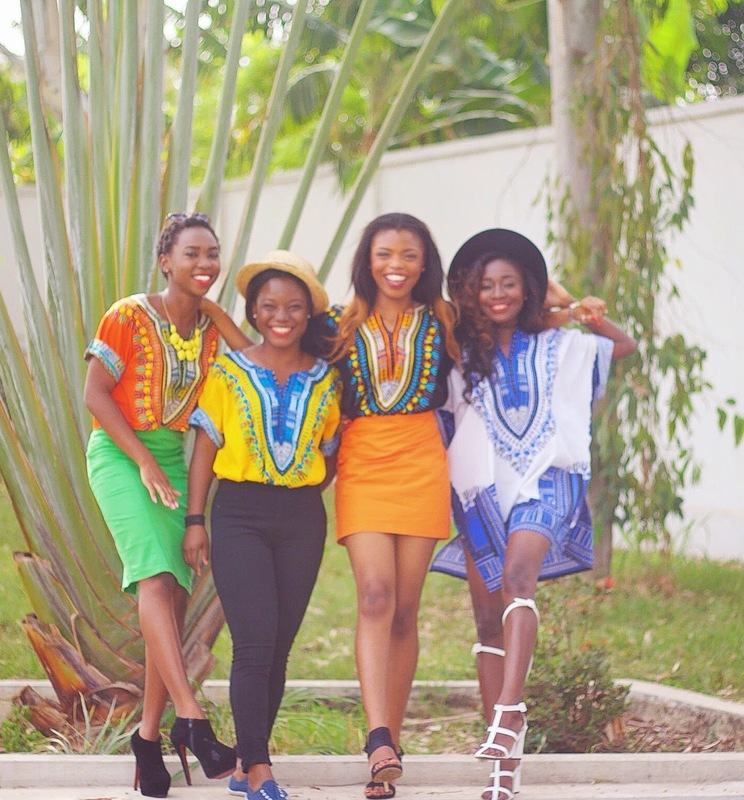 Good Info,I love traditional African clothing, and I especially love. Thanks for this post. What a great refashion – and as always , wonderful photos too! Thanks for sharing! I loved every outfit! Nice! Super creative and nice that you involved your friends. For the guys I love the whole denim and dashiki look and for the ladies the miniskirt pairing Issa fave.